Whether you represent a company and need tailored print and design services or you are a private individual looking to have a small run of wedding invitations, some funeral order of service leaflets or a bunch of birthday party invites, we are fully equipped and on hand to help. 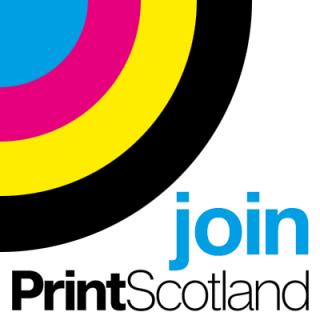 We’re a dedicated Glasgow printer and have a knowledgeable team so you can be sure you will be dealt with on a friendly, personal level from enquiry to delivery. We continually invest in the latest design and print technology – from pre-press right through to post-press, our equipment and services continue to evolve. We don’t just offer high quality, fast turnaround printing on everyday products like business cards, letterheads, A5 flyers, leaflets, pricelists, vouchers, invitations, cards cards and A3 posters, we also have a full creative team that would love to work with you on artwork, design and specialist projects such as vinyl floor graphics (laminated in a special non slip 3M coating), large format banners for indoor or outdoor use, business rebranding, interior graphics, furniture wraps, vinyl stickers, CD cover design and more. We can even help you combine new technology such as mobile phone lead capture pages, with a poster, flyer or sticker campaign so you can collect email addresses and build up your own mailing list.